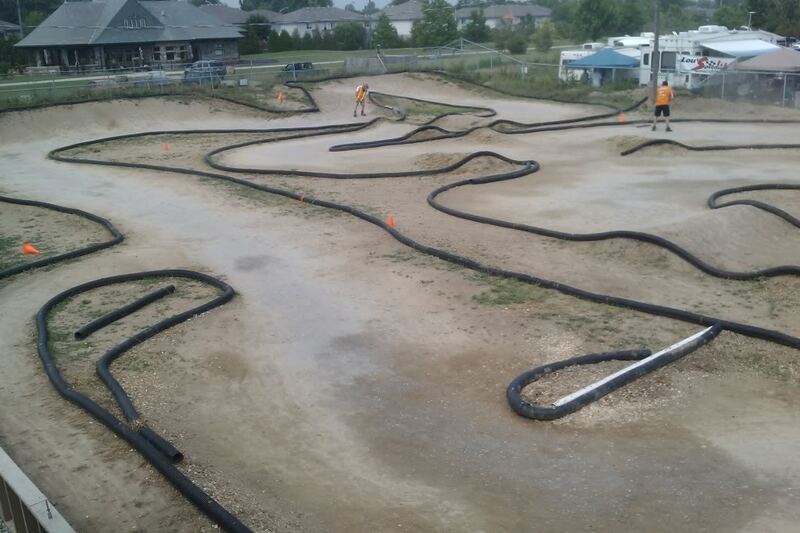 This week our Featured Track is Action Hobbies Kingsville, located in Kingsville, Ontario Canada. Action Hobbies Kingsville has two tracks. The indoor On-Road carpet track measures 70′ x 40′. The surface is CRC Ozite: “Daytona” version. The track layout is changed on a regular basis, with a drivers stand that can comfortably handle 10 drivers. When the Outdoor Off-Road Track was constructed in 2008, it was one of the biggest road dirt tracks around. The track measures 200′ x 150′ and has a large covered drivers stand that can accommodate up to 20 drivers at a time. Action Hobbies Kingsville is open to vehicles up to 1/8 scale and can accommodate nitro or electric RC’s. The track can be watered down in 5 minutes and the facility has power for charging and plenty of parking for cars, trailers and RV’s. For more details check out ActionHobbiesKingsville.com.